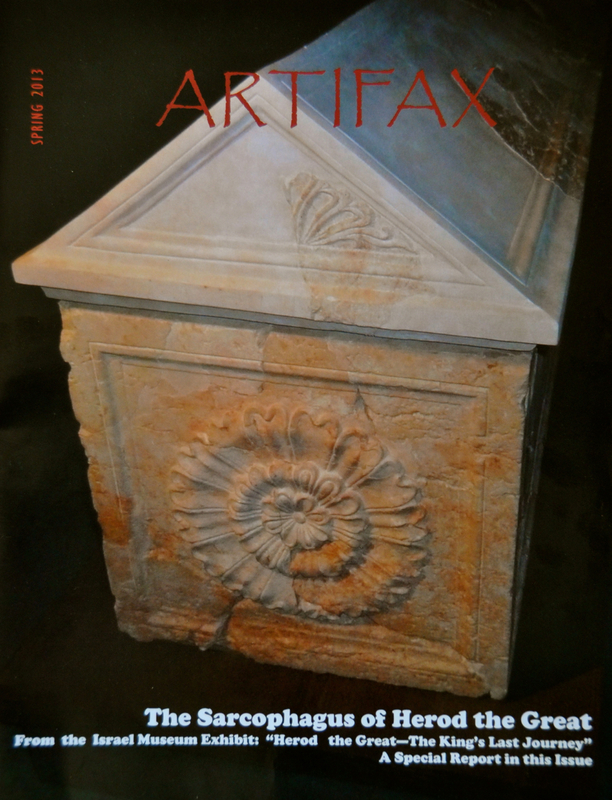 The Spring 2013 edition of ARTIFAX magazine is available – my photo graces the cover and the lead article, Herod’s Magnificent Obsessions, is my description of the Herod exhibit at the Israel Museum, with my photographs. 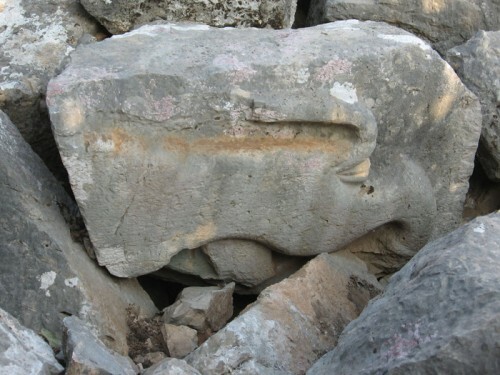 Two pieces of stone from the area of Israel’s Dead Sea, formed into a two-foot sculpture by Israeli artist Jojo Ohayon, has been placed in the Sagarmatha National Park of Nepal, at the southern part of Mt. Everest. Israel is planning to erect a sculpture built out of rock from Mount Everest and place it near the Dead Sea next month. I just found out about an open colloquium, Mount Sinai: Mount Karkom, May 12-13, 2013 in Mizpe Ramon, honoring the pioneers of Israeli desert archeology and an off-road Jeep trip to Mount Karkom – sounds incredible. Unfortunately, when I went to register, registration was full. Work is continuing on First Station, Jerusalem’s new meeting place for food and culture, at the original railway station built in 1892, terminus of the Jaffa-Jerusalem Railway. 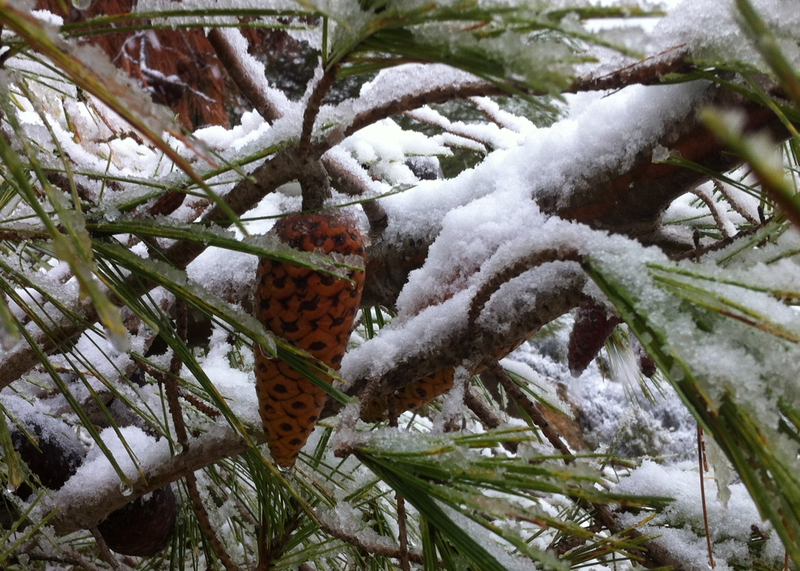 It is scheduled to open May 14. As of today the visitors center where you can get information, book a Segway or electric bicycle tour and buy souvenirs and the Re:bar concession are open. In a July 2012 article in Ha’aretz, Yaakov Kahlon, Senior Deputy Mayor of Jerusalem shares his vision about the future of Jerusalem. ... hot-air balloon, so you can go up and see the city from above. The Ottoman-era train station, along with a large multiplex cinema that is under construction in nearby Abu Tor, are meant to provide an entertainment nexus that will be open on Shabbat. It will include a Ferris wheel and a skate park, and from there a promenade with a bicycle lane that will connect directly to the Jerusalem Theater. 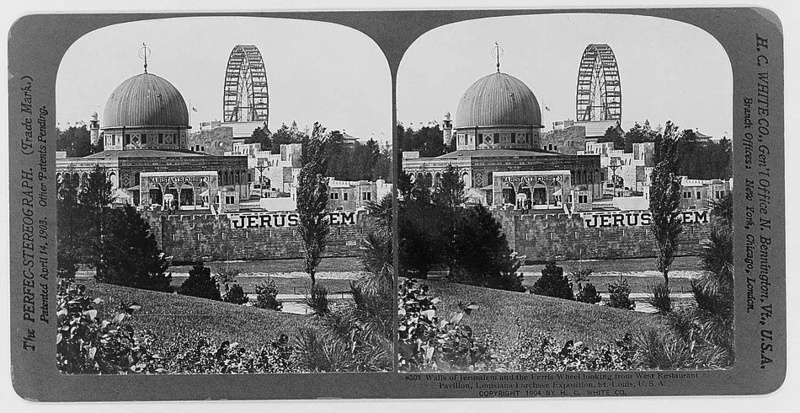 Talking about ferris wheels, here is a double photo of Jerusalem’s Dome of the Rock with ferris wheel in the background for use with stereoscopic 3D glasses – check out other photos (mostly from the Library of Congress, American Colony Eric Matson collection) at http://www.israeldailypicture.com. This entry was posted in 1900s Photos, Food, Jerusalem, Train and tagged Dead Sea, Jerusalem, Mount Everest on May 9, 2013 by Shmuel Browns. Get the insiders’ guide to Israel from those who know it best. There’s nothing like first-hand experience. But if you can’t get it, then the second best thing is to borrow someone else’s. And when it comes to knowing Israel, you won’t find experts with more expertise than ours – take a look at why they love Israel. With its long history, melting pot of cultures, religious heritage and cosmopolitan cities, Israel is an unforgettable destination. They asked a series of questions and wanted my recommendations. Favorite place to stay, a city/rural town or village rather than a specific hotel? The two favourite places to stay while in Israel are Tel Aviv and Jerusalem but I would suggest something different. Since the Negev desert in the south makes up 60% of Israel’s land area, I think you should stay a few nights there and what could be more appropriate than the new hotel in Mitzpe Ramon on the edge of the large Ramon crater, a geological formation unique to this area. To explore, take a jeep tour into the crater and at night, away from the lights of the big cities, gaze up at the stars and learn to identify the constellations with a guide. Favorite place to eat, a restaurant and what you would recommend from the menu? For a special experience I would recommend Uri Buri, a homey seafood restaurant in Acre, near the lighthouse, facing the Mediterranean Sea. What makes Uri Buri stand out are his unique dishes, based on interesting combinations of ingredients, for example, sashimi with carmelized beets and wasabi sorbet. The best way to go is to make a reservation, invite some friends and share the tasting menu (ask the waiter/waitress for local Israeli wine recommendations). To get an overview of the Old City of Jerusalem, within the 16th century Ottoman Turkish walls, you need to get high and the best view is by climbing 177 steps to the top of the bell tower (height about 40 meters) on the Church of the Redeemer with its 360 degree view of the city. While you’re there visit to the excavations under the church and the small museum. 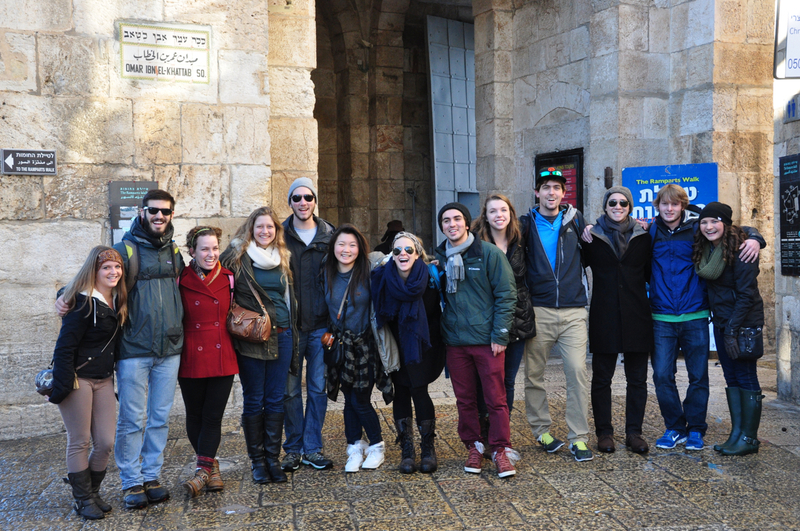 Recommended excursion for visitors to Israel? 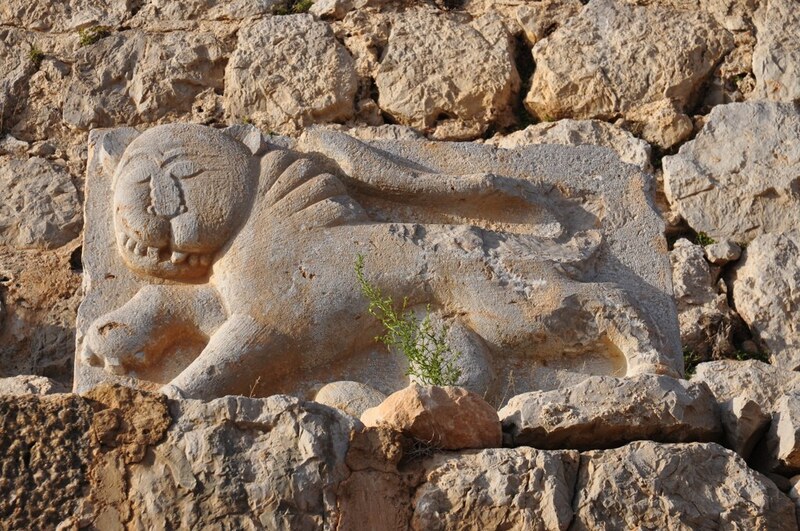 A day trip to the Dead Sea and Judean desert where you can combine history and nature. Visit Qumran where the Dead Sea Scrolls were discovered or Masada, KIng Herod’s fortified palaces on the top of a mountain. Take a hike in the Ein Gedi nature reserve, one of two natural springs in the Judean desert and enjoy a dip in freshwater pools under the cascade of a waterfall. 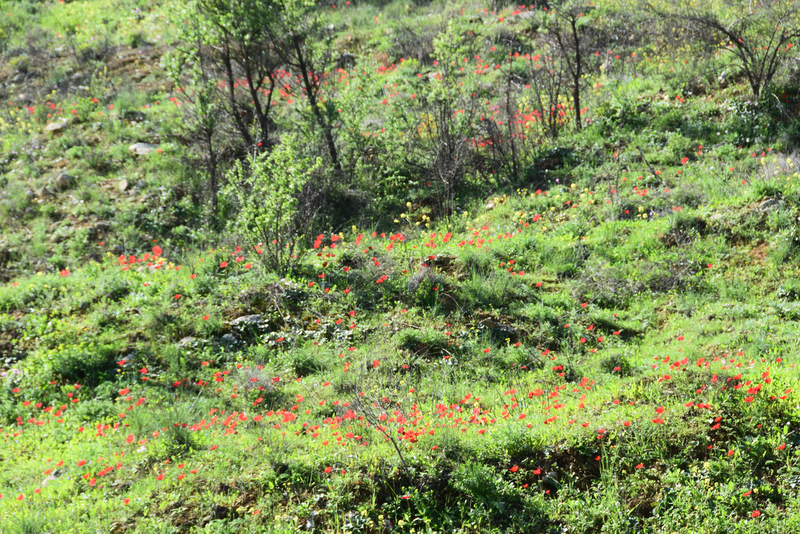 Hopefully you will see ibex, a kind of mountain goat, native to the area. End the day at one of the spa/beaches for a float in the therapeutic waters of the Dead Sea, the lowest place on earth. Not far from Eilat is the Red Canyon, a colorful gem of a hike for the whole family where you slide down chutes and climb down ladders of a narrow canyon with purple, orange and pink sandstone sculpted walls. Best way to spend a day in Israel? Drive the Jordan valley, part of the Great African Rift, visit the archaeological site at Bet Shean, have lunch of St Peter’s fish overlooking the Sea of Galillee, visit Capernaum, with a 4th century synagogue and the house where Peter lived and Jesus preached, later a church. From there drive to the Mediterranean coastal town of Jaffa. At dinner time choose a restaurant on the boardwalk overlooking the sea and watch the sunset. 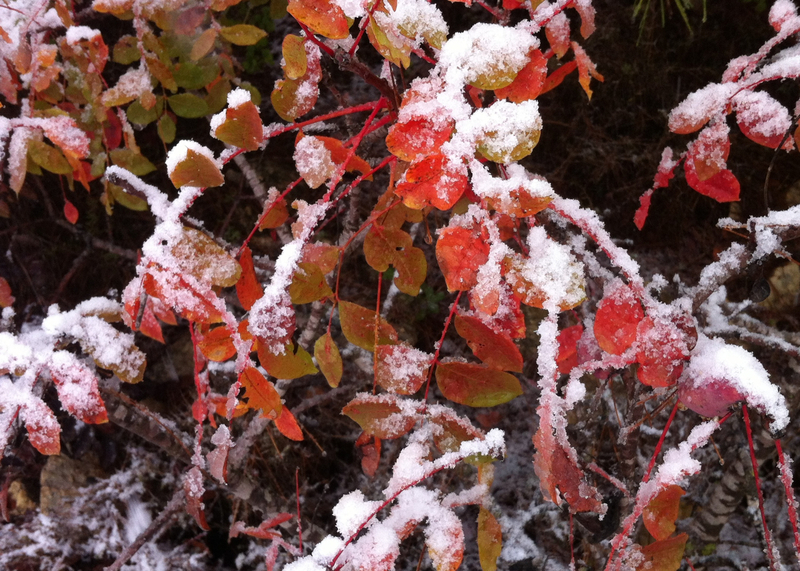 To see all this and more it’s worth using an expert guide, you’ll enjoy yourself more. This entry was posted in Itinerary and tagged Akko, Dead Sea, Israel, Jerusalem, Judaean Desert, makhtesh, Mitzpe Ramon, Negev, restaurants, Tel Aviv on April 30, 2013 by Shmuel Browns. A reader asked me to post something about the Crusaders in Jerusalem. I am happy to and also to lead tours focussing on the Crusader period. Raymond of Aguilers, who wrote a chronicle of the First Crusade (1096–1099), relates that on the morning of June 7, 1099, the Crusaders reached the summit of Nebi Samuel, from which they saw Jerusalem for the first time. The elated Crusaders fell to the ground and wept with joy, calling it Mons Gaudi, mount of joy. The same day they reached the walls of Jerusalem. With insufficient troops and supplies and rumor of a Fatimid advance, the Crusaders could not besiege the city for long but had to organize a direct assault. After about a month they were able to get skilled builders and wood by cannibalizing Genoan ships that had arrived at Jaffa port for siege towers. This enabled the Crusaders to breach the walls in 3 places on July 15th. The Crusaders massacred most of the Muslims and Jews and evicted the remainder leaving Jerusalem almost uninhabited until Christians could be encouraged to settle there. On 22 July, a council was held in the Church of the Holy Sepulcher that chose Godfrey as the princeps for the newly created Kingdom of Jerusalem which became an important Christian center. In 1160 the Crusaders added a glacis to the tower at the Citadel and dug a moat around it. The Roman Cardo was subdivided into 3 covered markets: Vegetable or Spice market, Market of Malcuisinat and Covered market – this property was donated to the convent at Santa Anna. Nearby along David St. today, was the poultry market selling eggs, milk, cheese. 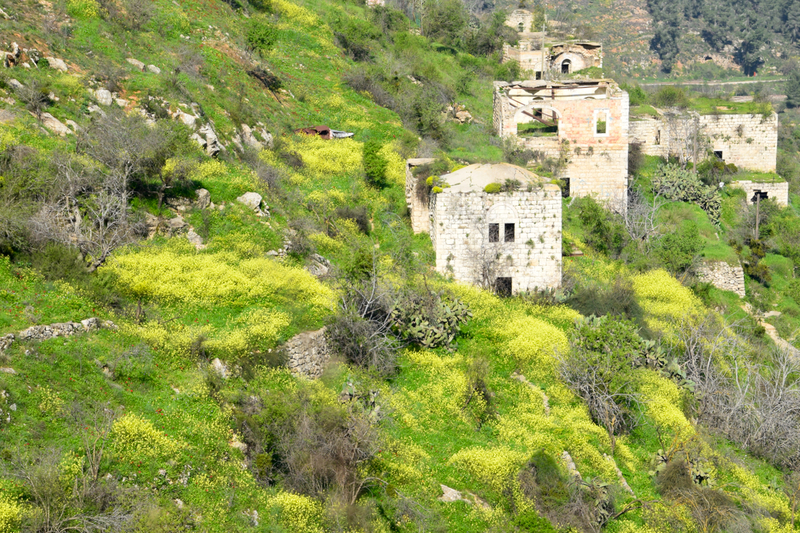 The Crusaders built a church in Kidron valley that contained the Tomb to the VIrgin Mary and Queen Melisende was buried there. 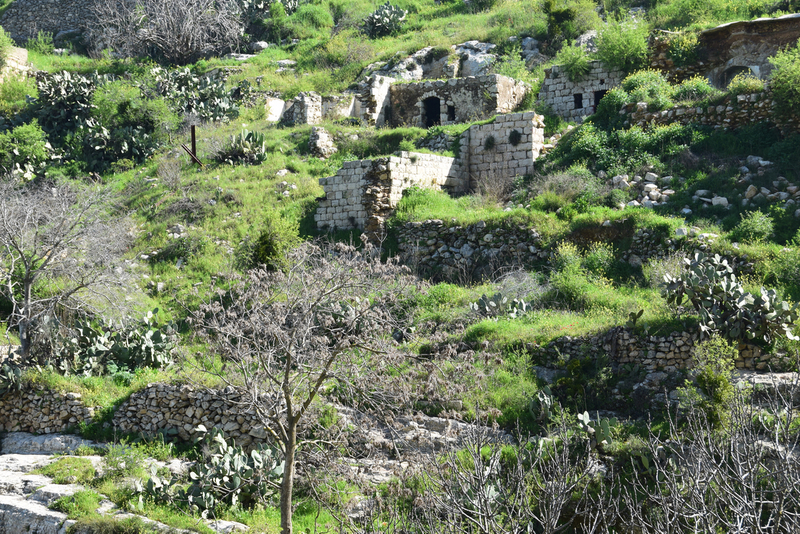 Beside it was Gethsemane and a Barluzzi church in 1920s was built on earlier Byzantine and Crusader ruins. The remains of the Church of Mary of Latina can be seen in part of the German Lutheran Church of Redeemer that was dedicated in 1898 during the German Kaiser’s visit. 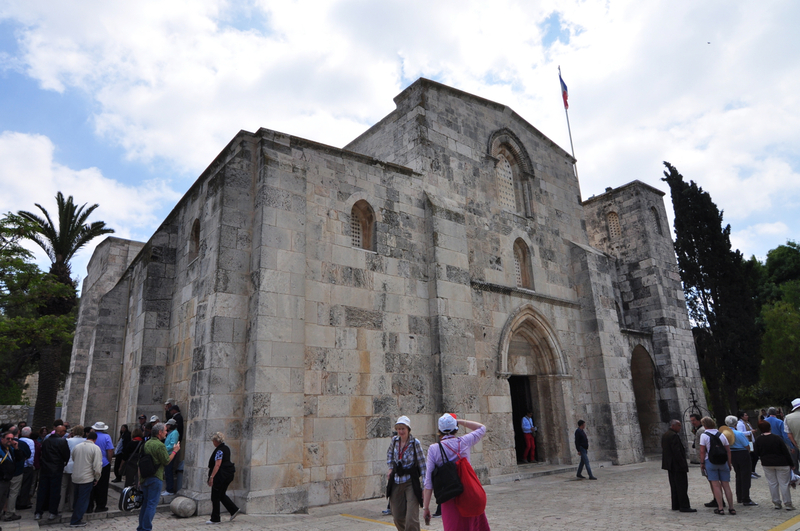 Close by is the Church of Holy Sepulcher, rebuilt by the Crusaders and dedicated in 1149. The sculpted marble panels on lintels over the two main doors, in Romanesque style, are now in the Rockefeller museum. 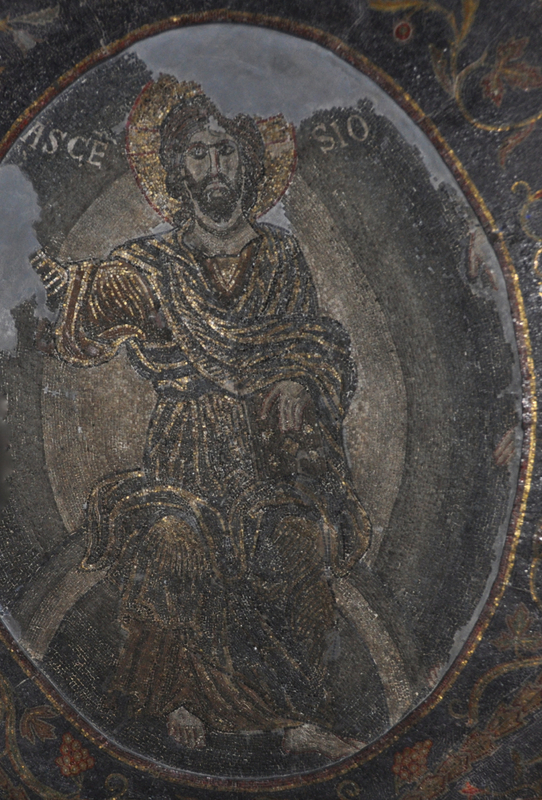 On the ceiling of the Catholic Chapel of the Nailing to the Cross (11th station) is a 12th-century medallion of the Ascension of Jesus — the only surviving Crusader mosaic in the building. Small geometric-shaped pieces of marble inlaid in the floor is a style known as Cosmati or Cosmatesque a traditional technique from the Crusader period though it was done when the chapel was renovated in 1937 by Barluzzi. There are Hospitaler sites in the Muristan and German knights in the Jewish quarter, remains of a hospice, hospital and church, St. Mary of Germans. Up on the Haram el-Sharif, the Knights Templar, used the Al Aqsa mosque, called Templum Solomonis by the Crusaders, and the underground arches of Solomon’s stables. The Dome of the Rock functioned as a church, Templum Domini. A short distance to the northwest, is the Dome of the Ascension, which served as its baptistery. 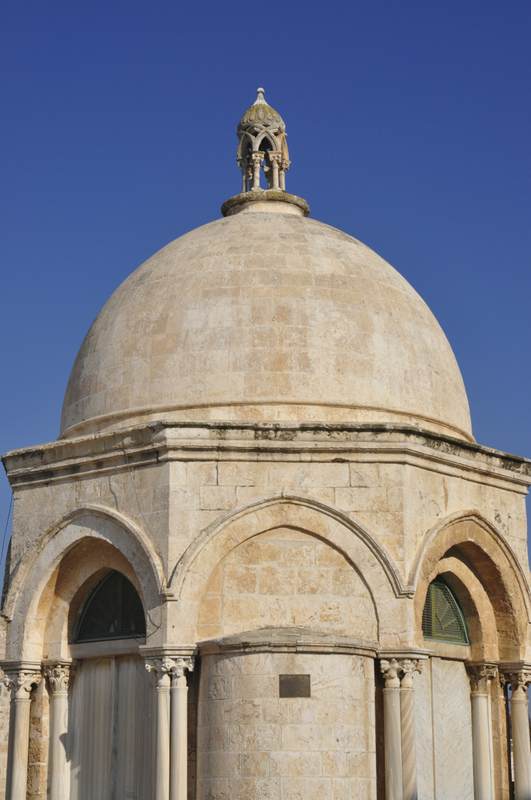 The Dome of the Chain to the east was a Christian chapel to St. James. If you have the chance, visit the Temple Mount Sifting Project to try some hands-on archaeology and take the opportunity to see artifacts like arrowheads, coins and relics from the Crusader period. At Bethesda Pools is the ruins of a Crusader chapel, Mary of Bethesda, built on the ruins of a much larger Byzantine church from the 5th century named for St. Mary (Church of the Probatica) and the Church of Santa Anna, one of the most exquisite examples of Crusader architecture in the country. 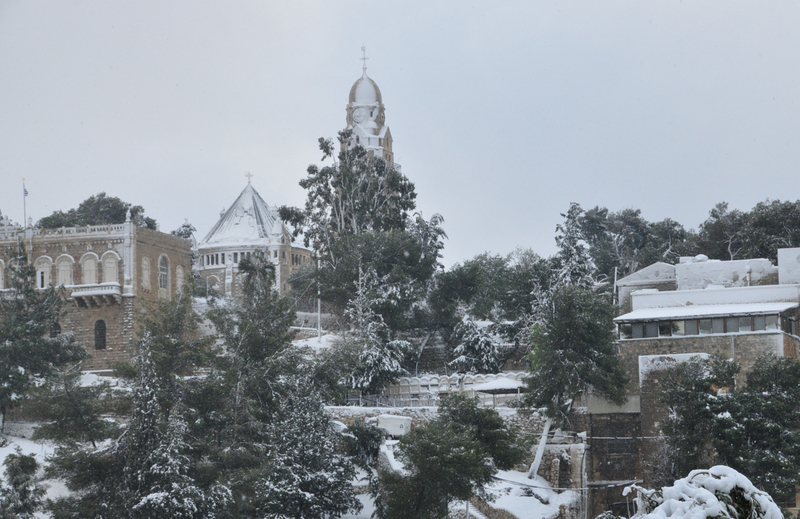 On Mount Zion, the German Dormition Abbey was built on the ruins of the Crusader church of St Mary of Mount Zion which includes an upstairs room which can be visited today, the Coenaculum or Room of the Last Supper. The Crusaders built many buildings which affected the city’s image, adding a Christian flavor to the 450 year old Muslim city and many of these changes can still be seen in the Old City today. 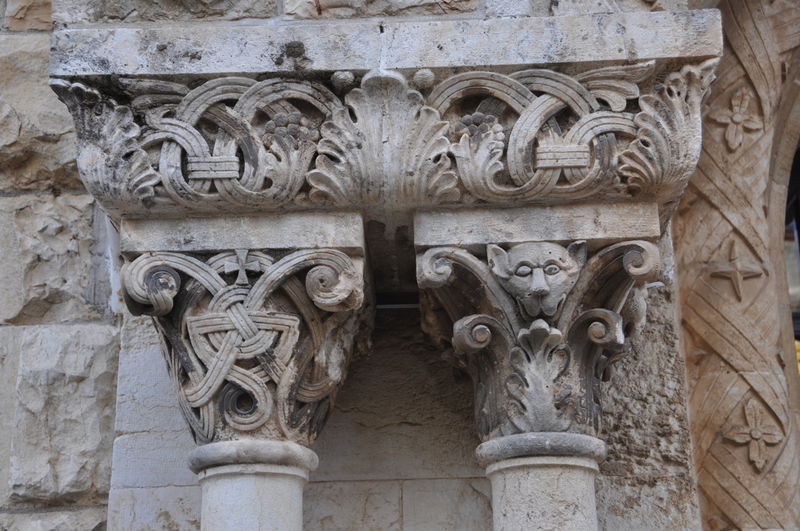 This entry was posted in Architecture, Art, Church, Jerusalem and tagged Christian, Church of Holy Sepulcher, Crusader, Jerusalem, Mary, Old City tour on April 24, 2013 by Shmuel Browns.